Kensington Wall Mount - Mounts a VESA Standard or Zero Footprint flat panel monitor (weighing up to 20 lb.) 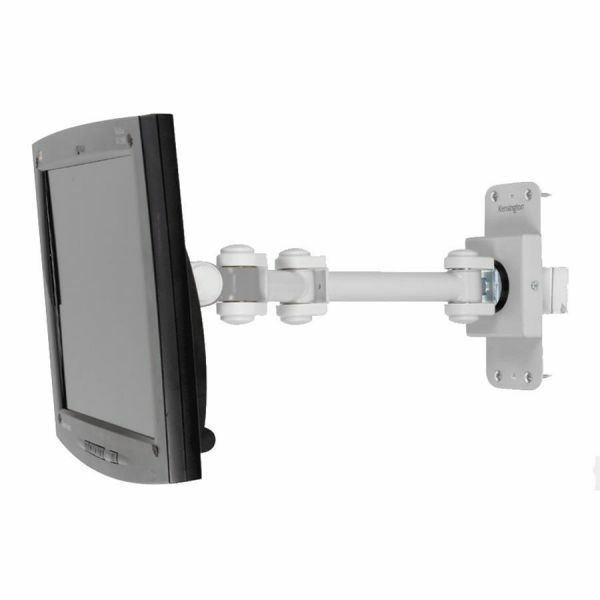 on the wall, or hang up to two additional flat panel monitors on the cubicle hanger (60058). Each hanger comes with one adapter and each will hold another. Tilts up to 90 degrees in all directions and rotates from landscape to portrait.